Mind and Life Matters | Your Life, Your Mind – It Matters! Welcome to my personal space on the world wide web! I’m glad you are here. This blog is my way of spreading Happiness! If you are a social justice warrior, like yours truly, then I suggest you head over to the Mind Matters page for topics that may be of interest to you. Or you may want to sit down with me over a cup of coffee and discuss everything lifestyle from the Life Matters page. If Fiction is your choice of reading, I have you covered in the Creative Corner! (Don’t forget to check out the One Summer Day Series). Not a fan of fiction? Do you enjoy reading random lists, if yes, then do check out the Top 10 Tuesdays Feature! 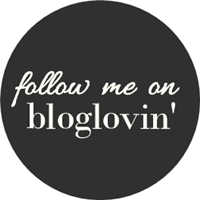 If you are here to know more about the person behind this blog, then head straight to my About page! And if you have an insatiable love for poetry, then you must definitely participate in the Weekly Limerick Poetry Challenge! Be sure to subscribe and keep yourself updated with the latest blog posts and book release information from Mind and Life Matters. Click here to subscribe – it’s free and you can unsubscribe anytime! Not sure of what you want to read? Check out some of the latest blog posts! Making the Transition from a Little Child’s Mom to a Tween’s Mom! - Change is difficult! Most people try to resist change as much as possible. As parents, change becomes harder when your kids are involved. Imagine how it feels when your cute and cuddly child who always wanted to snuggle into your lap suddenly begins to act as though you are their enemy! Your little baby is … Continue reading Making the Transition from a Little Child’s Mom to a Tween’s Mom! Top 10 Indie Books for Indie April! - Of late I have been spending a lot of time on Twitter. No, no, I am not wasting my time reading tweets with infuriating tags like “Women Are Trash” and bashing every single one of them for posting such nonsense (although, I wish I could do that!!). Indeed, over the past week, I have gained … Continue reading Top 10 Indie Books for Indie April! Getting to Work! - I was recently tagged on Facebook by my friend Piyusha Vir for the #GettingToEqual challenge. This hashtag, an endeavor by Accenture India and Women’s Web, encouraged women to share their stories on how and why they work, be it their success stories, or how they got to work. The idea is to share as many stories as possible to … Continue reading Getting to Work!